On 16th January 2010, the Artwiculate Word of the Day was Moiety. If the two halves are each obliged to marry out, and into the other, these are called matrimonial moieties. 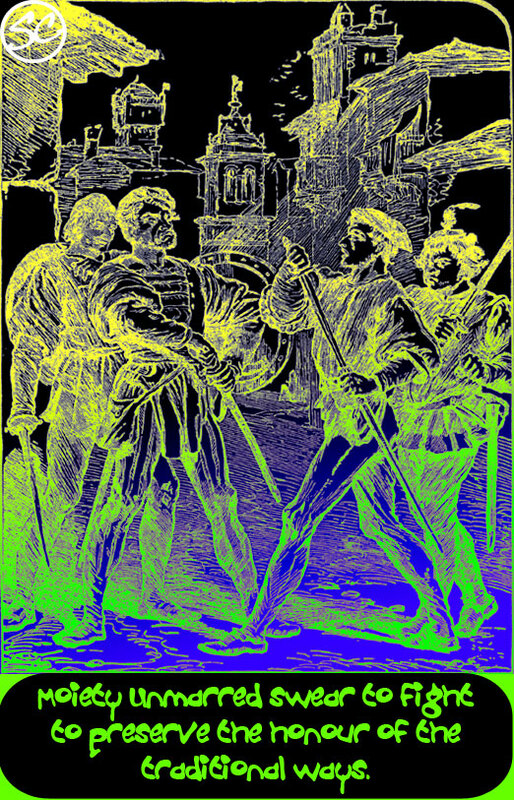 How would the story of Romeo and Juliet work in a moiety society? Watch this space, @artwiculate! Juliet Capulet is betrothed to Romeo Montague in accordance with the rules of the moiety, but will societal chains bind true love? 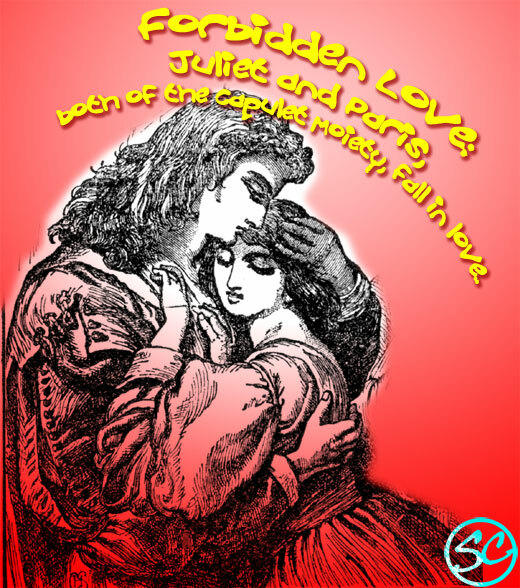 At a ball to celebrate her betrothal, young Juliet dances with Paris of the Capulet Moiety, and falls madly in love. She rejects Romeo! Romeo and Mercutio of the Montague Moiety, join forces with Tybalt Capulet. The shame of Juliet’s behaviour must be washed out with blood. The gang of young men call themselves Moiety Unmarred and swear to fight to preserve the honour of the traditional ways. Moiety Unmarred swear to fight. Romeo carries the news to the hall of the Capulet Moiety. The wedding of Romeo and Juliet now goes ahead, though Juliet is grief-stricken. Friar Laurence of the Montague Moiety presides over the ceremony, but Juliet has secretly persuaded her nurse to visit an apothecary. Benvolio Montague will wed Rosaline Capulet. The strength of moiety kinship will be reaffirmed; Juliet’s aberrant behaviour condemned. This story proved to be a bit hard to swallow for the Artwiculati. Some of the parts attracted a few votes, but none enough to scramble into the “Top 50”. Before being worked on, the clipart used above came courtesy of FCIT.